Unfortunately, if you experience low back pain, then you are not alone. Millions of people share your pain. Many have simply resigned themselves to back pain as a part of life and therefore choose not to pursue any type of treatment. However, a chiropractor offers a number of therapies that are proven to help lower back pain. In addition to chiropractic adjustments for initial relief, there is also strength and rehabilitation therapy for long-term maintenance. Unfortunately, headaches are not uncommon. Almost everyone experiences one kind of headache or another at some point. A tension headache can be brought on by stress. 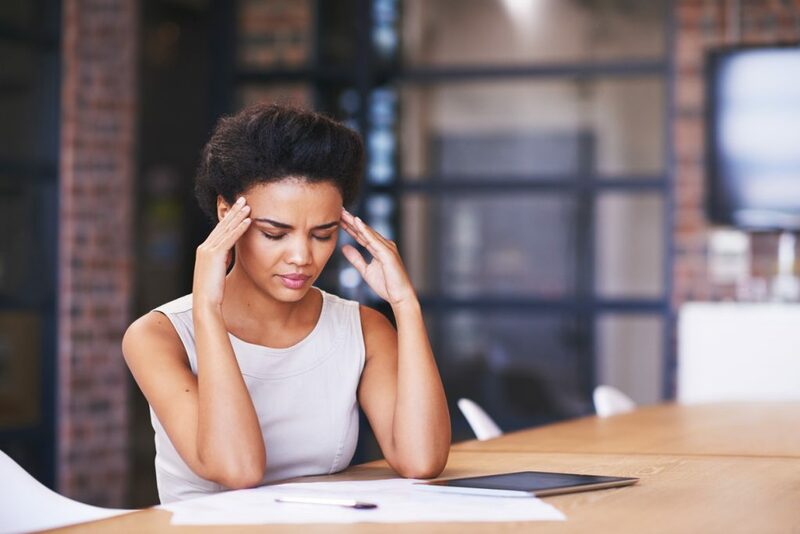 Certain triggers including a specific type of food, the weather, a sleepless night, bright lights and once again stress can lead to a migraine. No matter what kind of headache you have, a chiropractormay be able to develop a treatment plan for relief. Soft tissue laser therapy can be used to treat a number of conditions throughout the body. Today, a chiropractor can even use light from a laser to help patients suffering from chronic back pain. Read on to learn about the type of laser used, the way it works and the benefits. Where are you right now as you read this blog? Chances are you’re seated in a chair at a desk with a computer monitor or a laptop in front of you. Not exactly the best scenario for your posture or for avoiding back pain. But the fact of the matter is that most people do sit for the day at work. Sure, getting up to walk around every now and then helps, but you really need to know how to sit properly at your desk. Read on for six important tips you can use to prevent neck and back pain. Relieve Back Pain in the New Year! Do you have back pain? Welcome to the club. Millions of Americans are members. But really, who wants to be in this club? Even if you’ve been experiencing back pain for several years, a chiropractor offer treatment that may finally provide relief, so you can drop your club membership! Read on to learn more about chiropractic methods of therapyfor back pain that is caused for a variety of reasons. How Can I Treat My Sciatica? 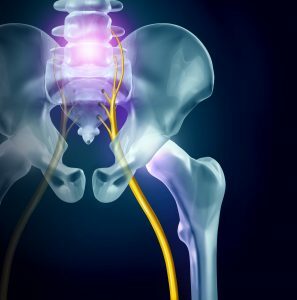 If you have sciatica, then you’re not alone. The problem affects 10 percent of American adults, and is most common among people ages 25 to 45. Most people with sciatica experience a shooting pain that starts in their lower back and then travels down one or both legs. Sometimes the pain is severe enough to limit mobility and may even make sitting and standing difficult. Physicians usually treat this condition with medication or injections, but studies show that seeing a chiropractor could be very effective in alleviating pain and curing sciatica. Text neck is a hot topic of conversation these days. As you may have guessed, it’s the hunched and often aching neck and shoulders that come from spending too much time looking at your screen (whether you’re texting or reading this morning’s news doesn’t really matter). Whether you like it, hate it, or merely accept it as a consequence of the modern world, most of us spend our days sitting far more than being active. You may try to combat it with a standing desk, or perhaps you take frequent laps around the office. Unfortunately, the truth is that most people are still seated far more than is recommended each day. This sitting lifestyle can lead to a host of issues — most notably, as far as a chiropractor is concerned, shoulder, neck, and back pain. Flip-flops are certainly the official shoe of summer. They’re cool, comfortable and often stylish. But they can also lead to some serious back pain, especially if you already have lumbar pain, sciatica or a back injury. Does this mean you can’t wear flip-flops? Not necessarily. Read on for some suggestions from a chiropractor on how to look good for summer and avoid back pain.